Rettger Galactic Today the World, Tomorrow the Galaxy! This actually went live a few weeks ago, but I wanted to share something we just launched at Anthem. 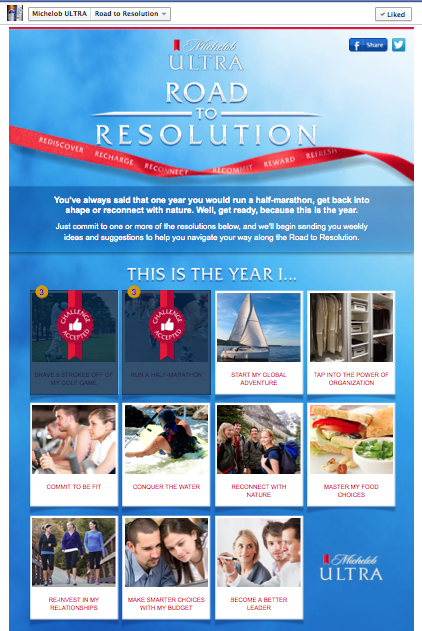 It’s a New Years Facebook app for Michelob Ultra. 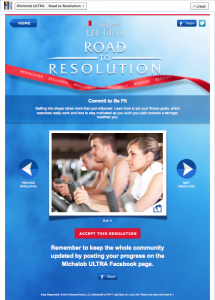 You can browse through several New Years resolutions, and if you see one you like, you can take that resolution. 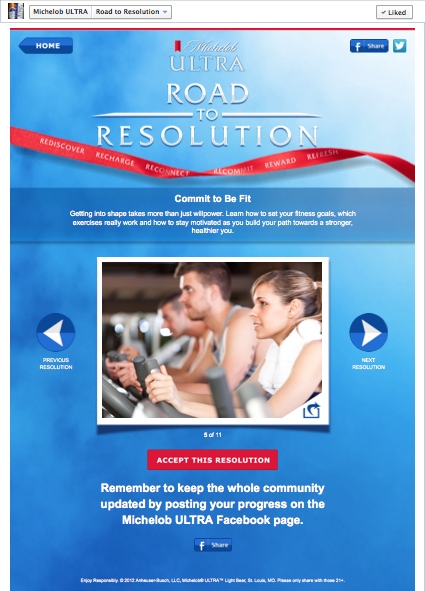 When you take a resolution, it sends you a new article every week with tips and information to keep you on track with your goal. The articles are delivered via Facebook notifications. Here’s a link to the app. I did the entire back end for this, including setting up the Facebook app, creating the database, handling user sign ups, publishing articles, and sending Facebook notifications when a new article is published. In case you don’t have Facebook or you are reading this after the promotion is over, here are some screenshots. The home page where you can see all the available resolutions, as well as the ones you have taken. The yellow icon shows the number of unread articles you have for that resolution. 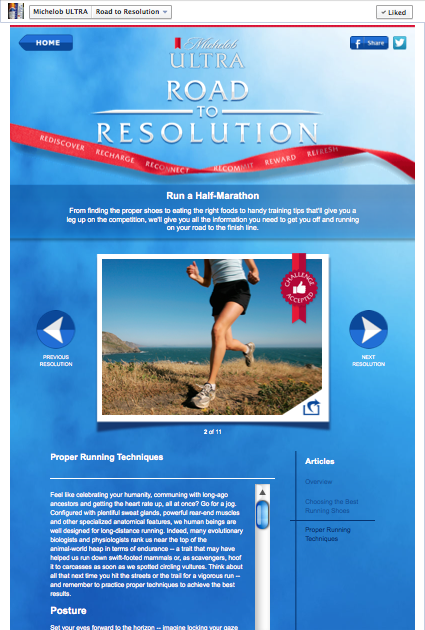 The detail view for a resolution you have not taken yet, with options to take the resolution or share it on Facebook or Twitter. 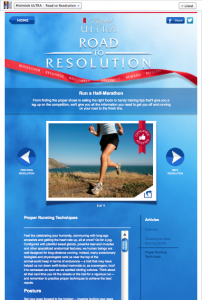 The detail view for a resolution you have taken. You can browse the articles that have been published, preview upcoming articles, and share your progress on Facebook or Twitter.